J.D. 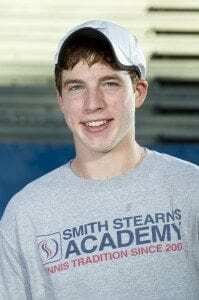 O’Brien started playing tennis when he was 12 years old in his hometown of Chagrin Falls, Ohio. After vacationing on Hilton Head and attending Smith Stearns for several summers, J.D. and his family fell in love with the family atmosphere that Smith Stearns has to offer and decided to make it their permanent residence. Over these past two years J.D. 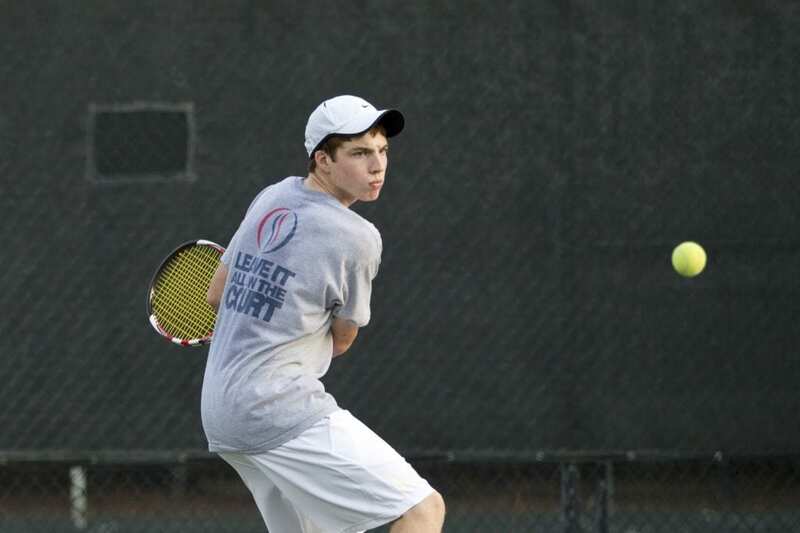 has been working effortlessly to fulfill his dream of competing on a Division I tennis team. He has put in long hard hours working with his coach BJ Stearns and he graciously thanks BJ for the time he has spent teaching him and helping him achieve his goals. Other than the hours J.D. has spent training and developing relationships with his friends and coaches, one of his favorite off-court experiences at the academy has been the group trip to Universal last year. He enjoyed hanging out with all of his friends and had a blast the entire trip. J.D. recognizes winning the State Title with Hilton Head Prep in 2011 as the athletic achievement he is most proud of. He won his singles match and then eventually pulled out the decisive doubles match and clinched the victory for his team! It was an unbelieveable feeling to help his team win a state title and will definitely be a memory that will never leave him. Winthrop University will be home for J.D. this fall and he is excited about competing for the Eagles! His visit to Winthrop made him feel at home right away, as he loved both the tennis facilities and the campus. When talking to the head coach Andrew Stubbs, J.D. realized that his knowledge along with the direction he wanted to take the team, would help him improve considerably. J.D. is most looking forward to the team atmosphere he will get to experience in college tennis and he hopes that it will bring a whole different level of camaraderie that he hasn’t experienced before. Having played on a winning high school team, it is a sure thing that J.D. is prepared to help the Eagles accomplish great things, and will continue to be the team player that he has proven he can be. With his dream of playing Division I tennis now a reality, we can’t wait to see what the rest of his future holds!